Anti-Facial Recognition Face Mask is the first iteration of anti-surveillance accessories that is designed created to distort the metadata of volumetric data capturing cameras to ensure the safety of an individual’s data, in a fashionable and trendy way. The project was inspired by China’s Surveillance State 2020 vision: nationwide facial recognition and surveillance network, achieving near-total surveillance of urban residents even within their home through smart TVs and mobile phones. For the same reason, there are 3D data capturing cameras with AI facial recognition technology installed at every metro station in Shanghai. Dave came up with the idea of face masks that deters the camera from collecting volumetric data of an individual, and I applied it on other wearable accessories like chokers and earrings, etc to disrupt the technology. Since we did not want to promote this as an anti-surveillance tools to face the government’s scrutiny, I came up with some design patterns keeping fashion interest in mind. We tested using different reflective material using a Kinect that uses similar technology of infrared projections for depth sensing. 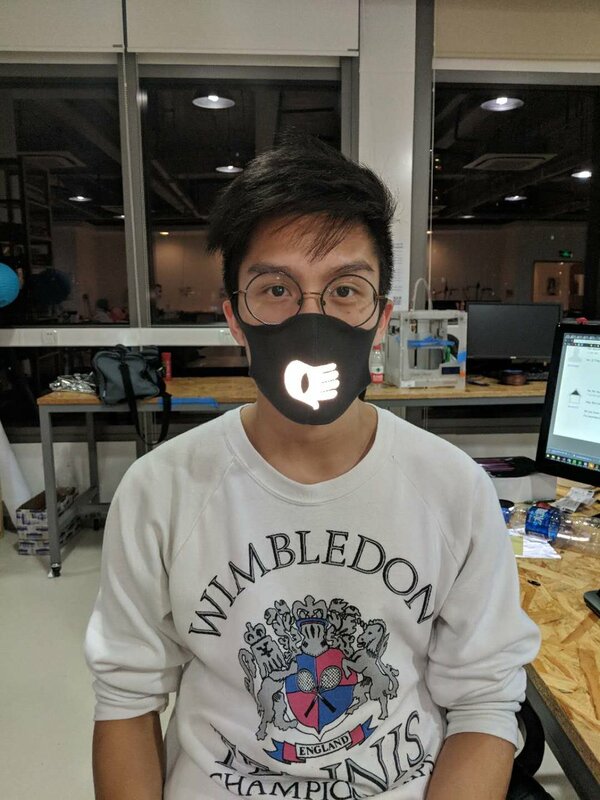 We were able to disrupt the data by using retro-reflective material on the mask, and now testing it on other different wearable accessories to check the feasibility of anti-surveillance tools as a fashion statement.